Comes with everything you need to build 25 Bristlebots! 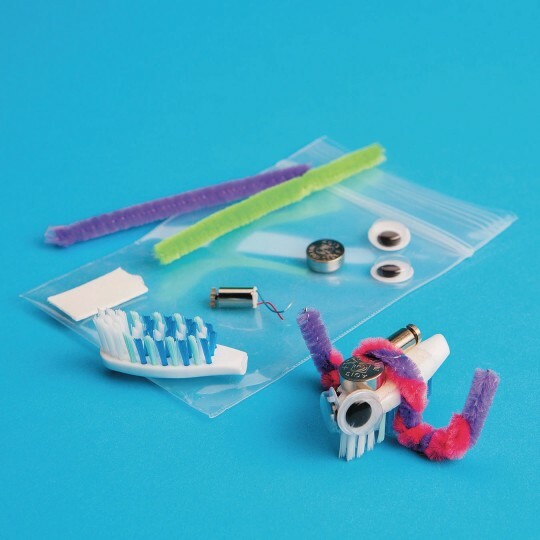 A Bristlebot is a small robot made by combining a toothbrush head and a vibrating pager motor. The vibrations from the pager motor travel down the bristles and cause the brush to scoot and spin on flat surfaces. Build a Bristlebot in your home or classroom to teach basic engineering, motors, circuits, and balance principles. 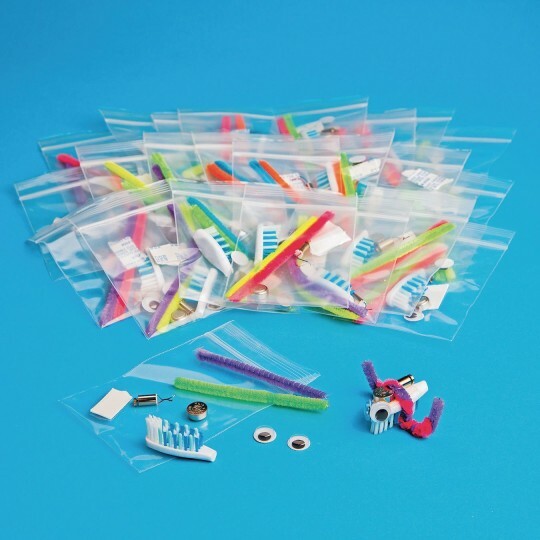 Bend, twist, and angle the chenille stems into different positions and see how it affects the movement and direction of your Bristlebot. Build time: 5 to 15 minutes. Grades 3+.